The Pope is the visible head of the Catholic Church, and his steps are followed by millions of believers all over the world. 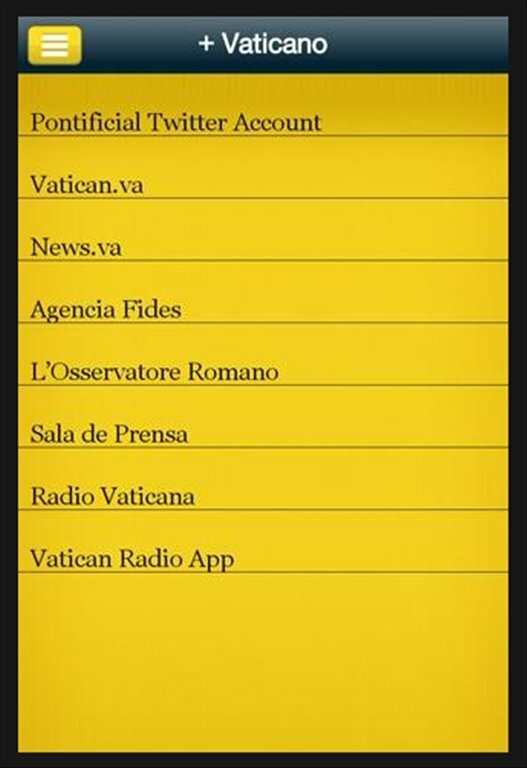 By downloading The Pope App for free you can watch all his interventions live and receive notifications each time a pontifical event takes place, such as the Angelus of each Sunday or his public hearings on Wednesdays. In fact, The Pope App gathers all the information about the Holy Father, including news, photos and videos, official speeches... 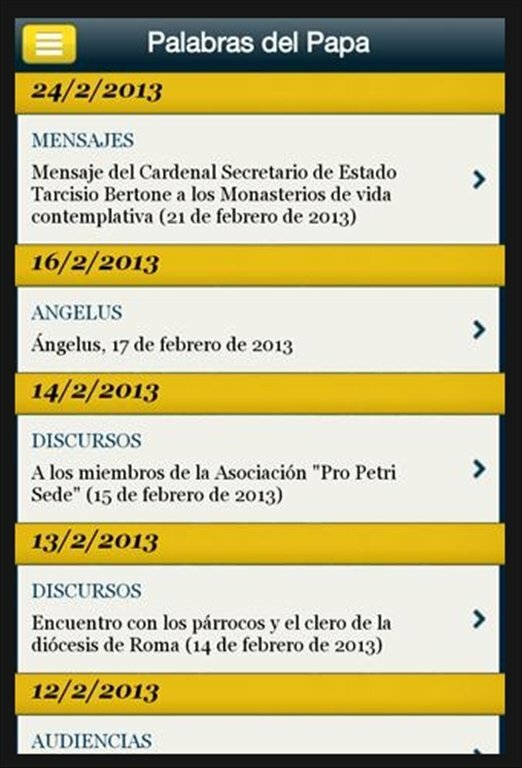 The entire agenda of the Supreme Pontiff on your Android device. 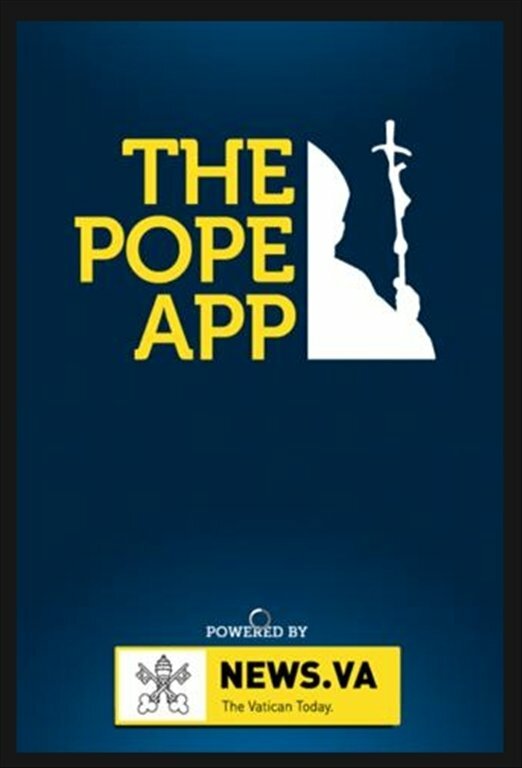 An application focused on the Pope. 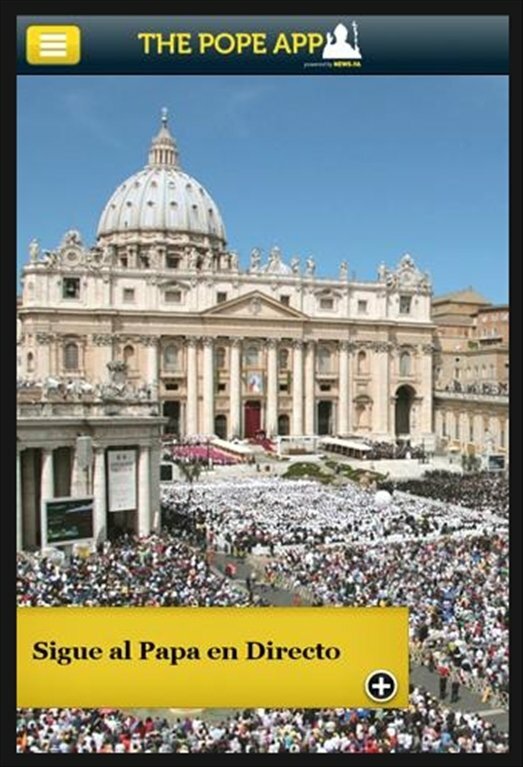 You will also have access to other information about the Holy See, for example, the meeting of the Conclave to choose the new Pope, and even images of the video cameras located in St. Peter's Square. 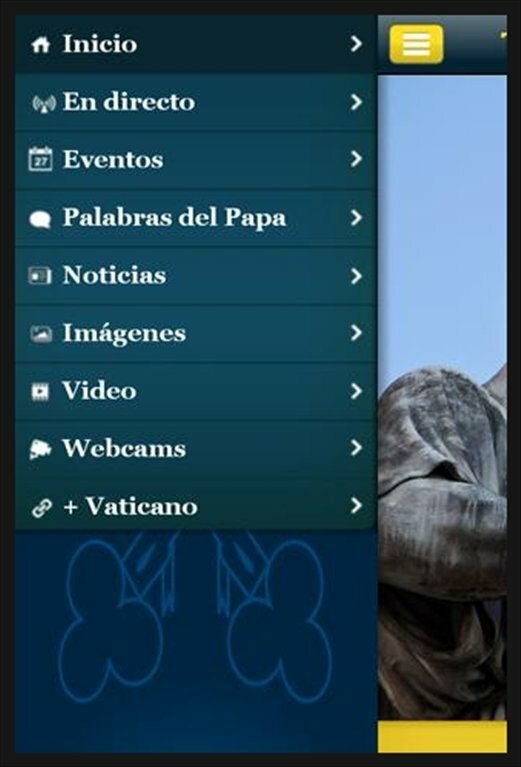 Feel as if you are in the Vatican from your mobile or tablet.